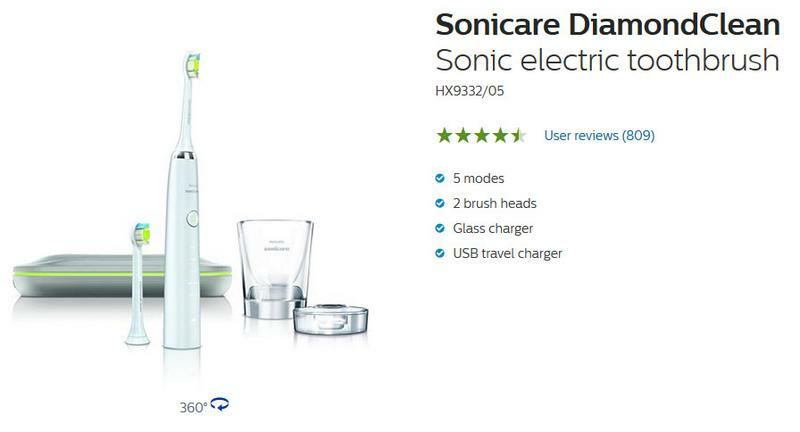 Equipped with the most advanced technology to date, DiamondClean is the newest innovation from Philips Sonicare. DiamondClean provides the highest level of performance from a Sonicare power toothbrush to date, clinically proven to remove up to four times more plaque than a manual toothbrush in four weeks. It improves gum health in two weeks and is proven to whiten teeth in as little as one week. It features a slim, ergonomic handle with a stylish finish, and five cleaning modes to target specific areas, such as Gum Care and the unique Polish and White modes.